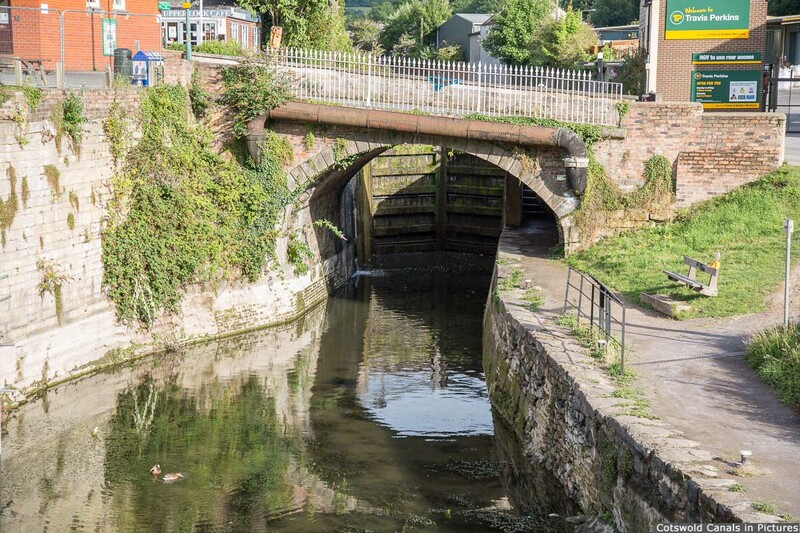 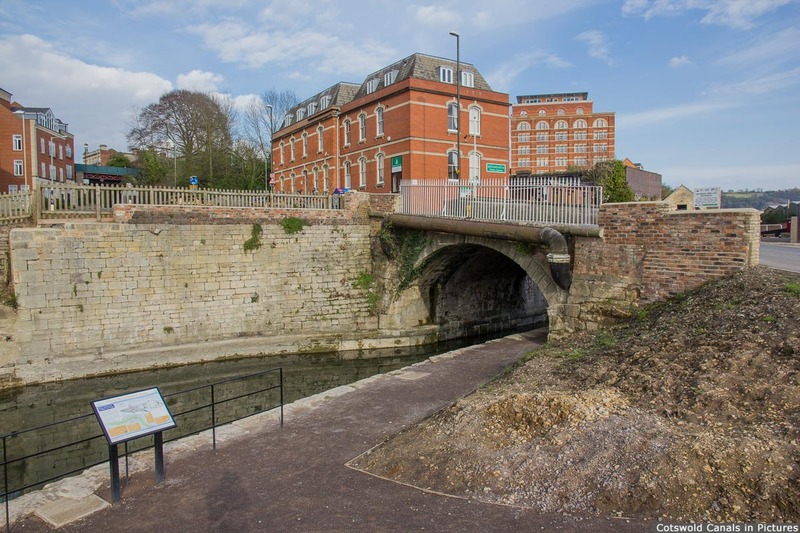 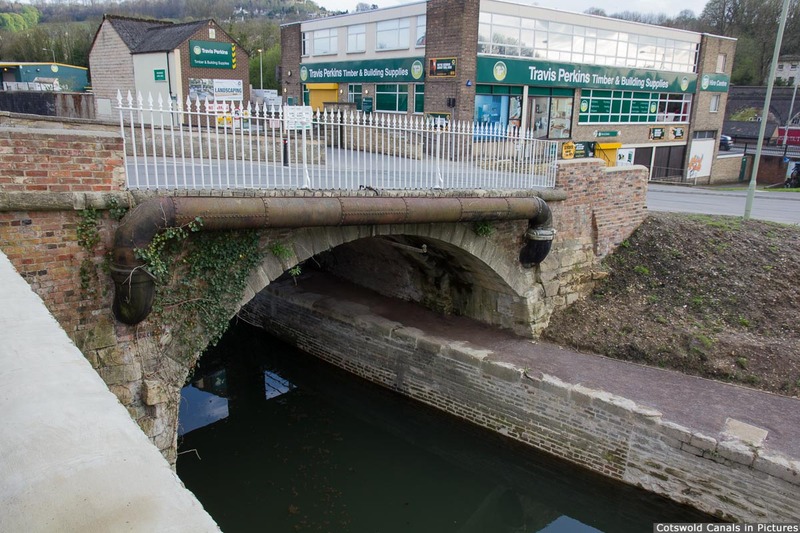 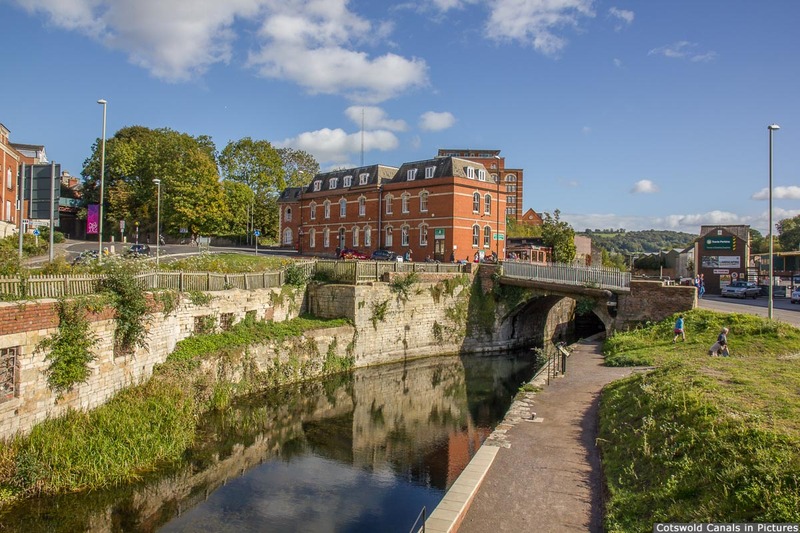 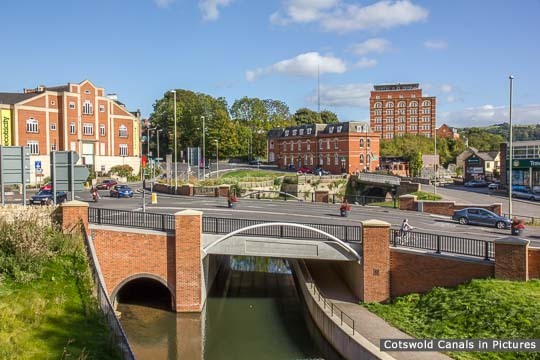 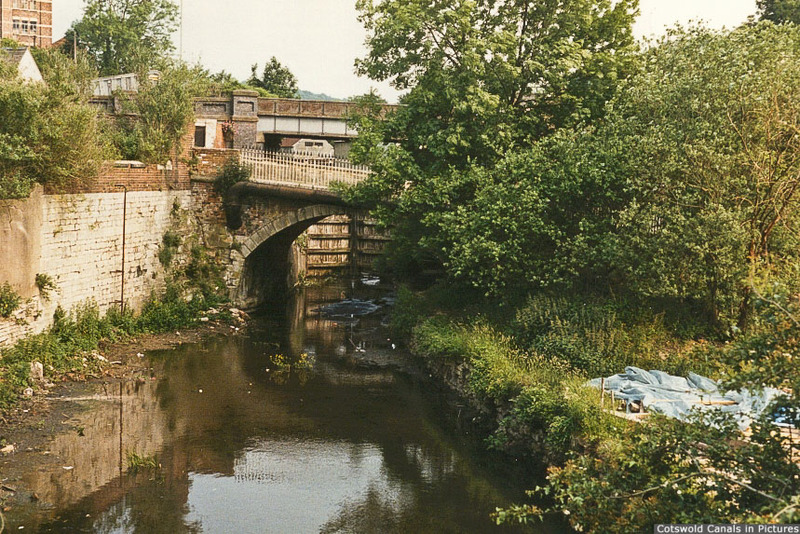 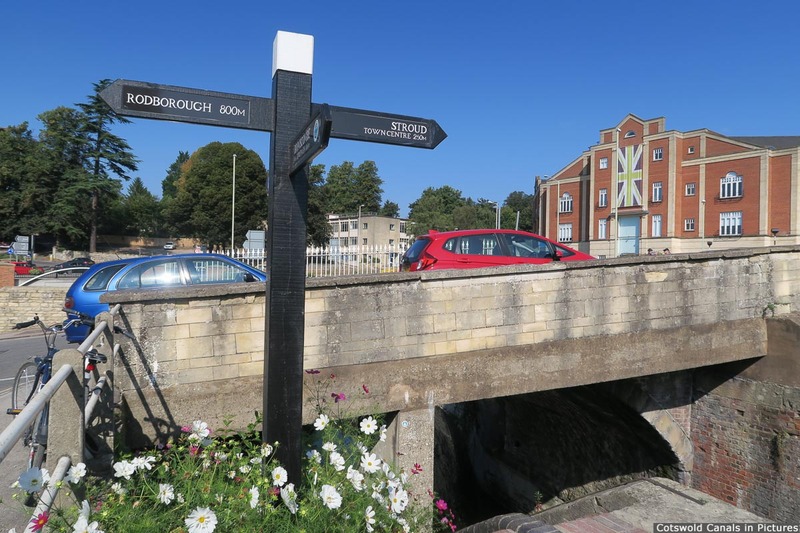 This bridge used to carry the A46 traffic, but now leads into a cul-de-sac and a building supplies company. 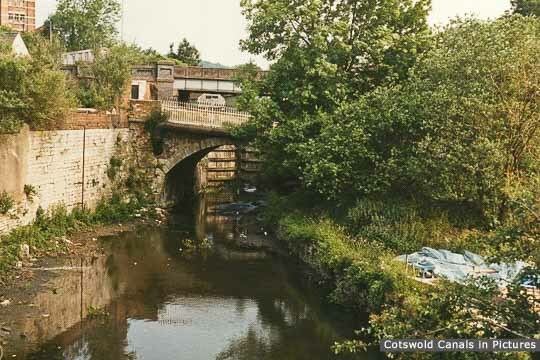 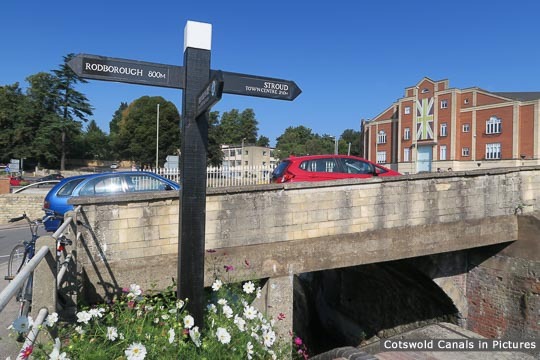 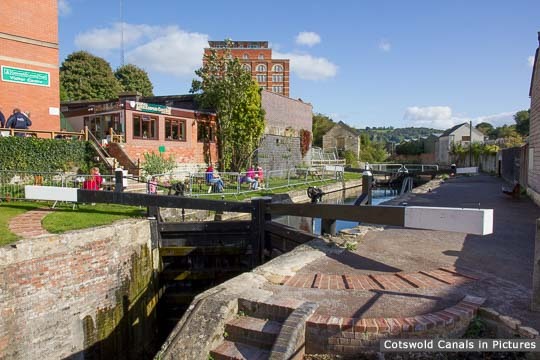 The Cotswold Canals Trust Wallbridge Visitor Centre is close by. 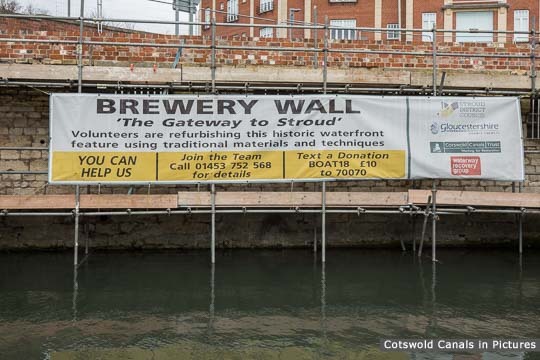 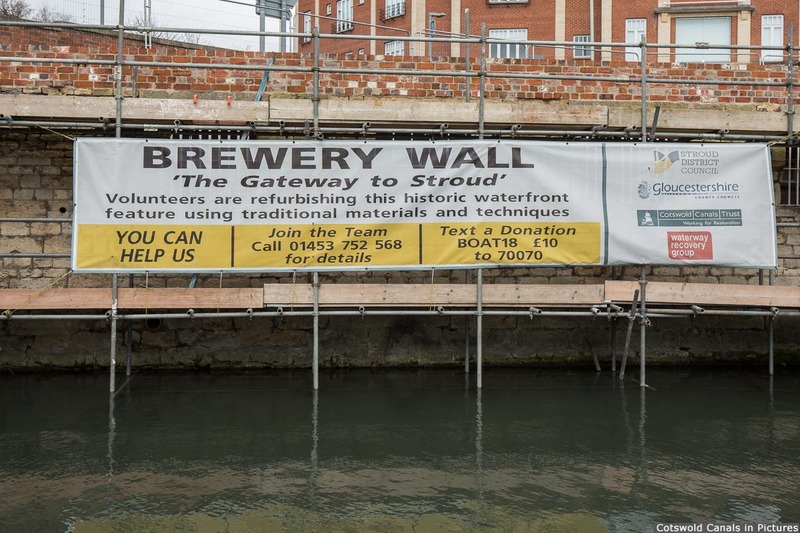 The adjacent 'Brewery Wall' is being rebuilt by volunteers.